Researchers interested in the health and wellbeing of Canadians now have a treasure trove of additional information to draw on. The first major data release from the Canadian Longitudinal Study on Aging (CLSA) is underway and offers data that can provide a snapshot of Canadians aged 45 to 85. The CLSA Statistical Analysis Centre based at the Research Institute of the McGill University Health Centre plays an essential role in the management of all the information collected in the CLSA. Researchers interested in the health and wellbeing of Canadians now have a treasure trove of additional information to draw on. 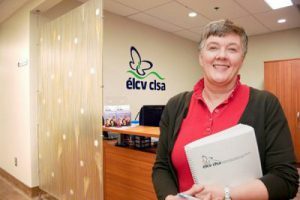 The first major data release from the Canadian Longitudinal Study on Aging (CLSA) is underway and offers data that can provide a snapshot of Canadians aged 45 to 85. The CLSA Statistical Analysis Centre based at the Research Institute of the McGill University Health Centre (RI-MUHC) plays an essential role in the management of all the information collected in the CLSA. The CLSA follows 50,000 Canadians 45 to 85 years old every three years for 20 years. The platform offers researchers a wide range of information about the changing biological, medical, psychological, social, lifestyle and economic aspects of this period in people’s lives. “Until recently, studies on aging fell into one of two categories: those looking at the social aspects of old age and those focused on disease. Our study is unique because it combines both and includes participants as young at 45,” says CLSA co-principal investigator, Dr. Christina Wolfson, researcher at the RI-MUHC and professor at McGill’s Departments of Medicine and of Epidemiology, Biostatistics and Occupational Health. There are two strategies of data collection within the CLSA. With one of them, data are collected through telephone interviews for 20,000 participants. In another, an additional 30,000 participants will be interviewed face-to-face and at home and will undergo a physical assessment. Recruitment and baseline assessments for the participants interviewed by telephone are complete and the data are now available to researchers. These interviews include detailed questions about physical, emotional and social health status. According to Dr. Hélène Payette, researcher at the Research Centre on Aging of the Health and a professor at the Faculty of Medicine and Health Sciences at the Université de Sherbrooke this kind of study is essential to understand how these factors interact with other. Dr. Payette leads the CLSA site at the Université de Sherbrooke. “The aging process is so complex and heterogeneous from one person to another that we need these large population studies with a large number of participants to be able to explore all the issues related to aging,” Dr. Payette explains. If 11 sites take part in the CLSA’s data collection, the RI-MUHC is the only one which also houses the Statistical Analysis Center where Dr. Wolfson’s team examines the quality and reliability of the data and prepare it to be released to researchers. More than 24,000 have been recruited and assessed so far and recruitment will be complete in the summer of 2015 when the first follow up will begin. Data and bio specimens from these 30,000 participants will be ready for release in 2016. According to Dr. Wolfson, research about previous generations can’t predict the needs of the baby boomers as they age. “Everybody suspects that baby boomers will age differently from their parents. Society has changed. People are staying in the workforce longer than before. There are new treatments for diseases. We’ll be able to see in real time how these changes in their lives affect their health, and how changes in their health affect their lives,” she explains. The ultimate aim of the CLSA platform is to provide data that will be used by researchers across the country in projects that contribute to improve the health of Canadians. “We wanted to leave this for all the future scientists and experts in the research community interested by aging. Researchers who participated in the study do not have precedence over the data,” Dr. Payette says. “The success of this study on a national level over the next 20 years is dependent upon the research community’s use of this important national resource,” Dr. Wolfson adds. The CLSA is a strategic initiative of the Canadian Institutes of Health Research and the infrastructure needed to collect these data is supported by a Canada Foundation for Innovation Award. Go here to preview the CLSA DataPreview Portal.